In early 2008, the author AVIS Viswanathan and Vaani his soul-mate, friend, wife and business partner were staring at a bankruptcy of their Firm. A series of business decisions had literally brought them to the brink of penury, This book is their story, it captures learnings from this excruciatingly painful, Life-changing, phase that they are still going through. It also explores the nature and continuum of Life. There is no beginning to the story, There is no end either, There are simply experiences, of hopelessness, of fear, of insolvency, of pennilessness and also of faith, patience, love, companionship, abundance and soul, of integrity and of leading a principled Life, despite temptations to take the easy way out of painful or messy situations. This book has been written to share how AVIS and his family have learned to be happy despite their circumstances. You too can benefit from their learning and experience and discover the right way of thinking, living, working and winning in Life for yourself! AVIS Viswanathan, 47, is a Life Coach, an inspired speaker, author and organizational transformation consultant who leads change management, culture and leadership development mandates in the corporate sector globally. He is currently a Principal Consultant at a v initiatives, a Specialist Consulting Firm that inspires Workplace Happiness. AVIS is a well-known and acclaimed speaker whose Talks invoke soul, provoke thought and inspire action among the audiences he addresses. In the past, AVIS has been ranked among the Top Ten Motivational Speakers in India by The Week magazine. AVIS says he always lives inspired by Life! 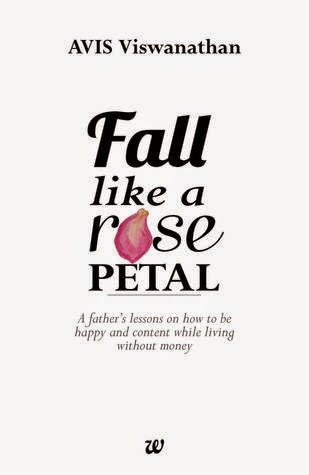 AVIS’ first book, ‘Fall Like A Rose Petal – A father’s lessons on how to be happy and content while living without money’ has been published by Westland. As anyone who knows me can vouch for me, I love self helps. There is a very simple reason to it, these people talk from experience. They are no self proclaimed Guru who talk about having known it all through some divine power. They are simple human beings like you and me and what they say comes from what they have experienced and that is what makes it a fabolous read. Each and every chapter talks about survival and re-emphasizes the Darwin's theory of survival of the fittest. He makes you realise how when the going gets tough, the tough get going. He is surely an ideal to be lived by example. Someone who doesn't believe in boasting about his accolades but one that believes in his work doing all the talking. And talk it does. His language is so simplistic and yet one that touches your heart, makes you shed a tear and smile all the while to. My favourite line from this book - the title itself Fall like a rose petal. It is a name that will stay with me for long with its lessons leaving deep marks on my psyche. This book is one that I will keep in my top recommended list and will read again and again everytime life sends me a storm. For this will help me remember that not all storms are supposed to cause destruction, some come to teach us how to dance along with them too! 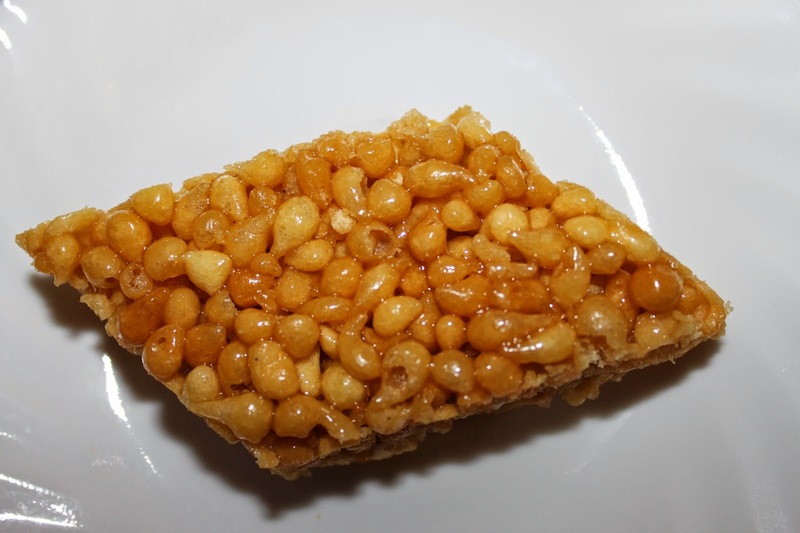 This book is like boondi mithai - unique, crunchy, sweet and tasty.